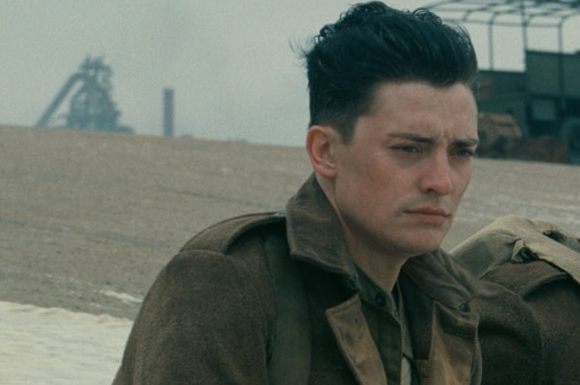 You’ve seen Christopher Nolan’s massive World War II epic Dunkirk, and you’ve got questions: Namely, who were all those similar-looking British actors with enviable cheekbones, and how are we supposed to tell them apart? You could try seeking help from a Nolan bro, but he’d probably sniff that you’re not supposed to tell them apart, that the way all those actors sort of blend together and don’t necessarily have distinct personalities is Nolan’s whole point. Still, that explanation isn’t going to help you look up your favorite on IMDb and Insta-stalk the cutest ones, is it? Fortunately, Vulture has put together a guide to the significant men of Dunkirk. Help is on the way! Since Nolan divides his movie up into three sections — land, sea, and air — so shall we, to better single out the members of its ensemble. Spoilers will follow. 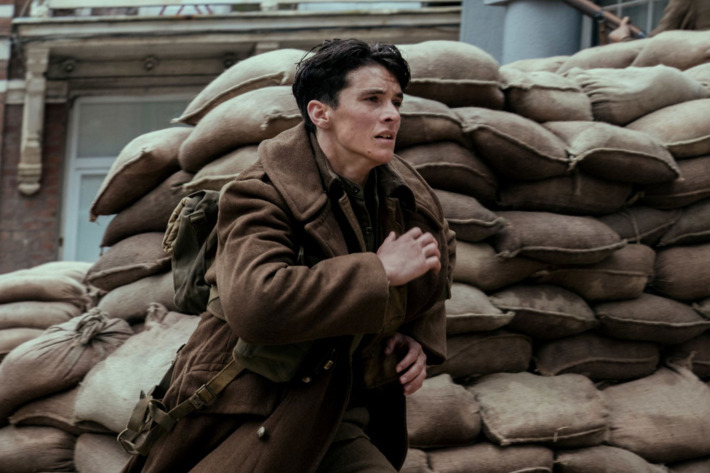 Insofar as this sprawling ensemble has a protagonist, it is probably Fionn Whitehead’s Tommy — not that the character names I’m about to tell you matter that much, since so few of them are actually said during the film. Still, the film’s first ten harrowing minutes are told from the perspective of Whitehead as he makes his way to the beach and tries to carry a wounded man on a stretcher onto one of the boats, and we’ll follow his attempts to survive until the very end of the movie. 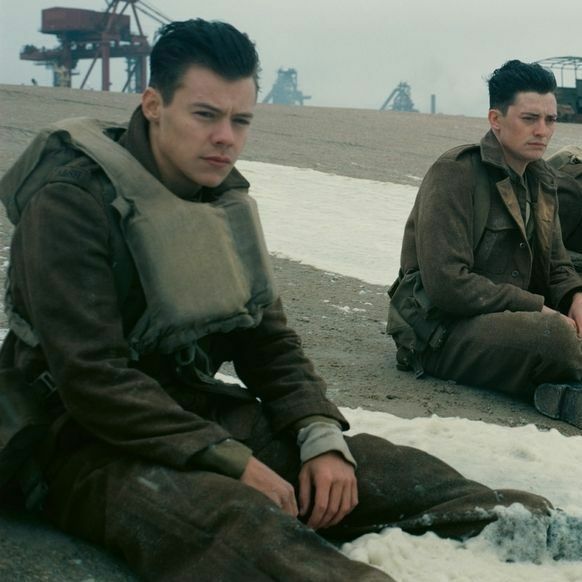 Just 20 years old, Whitehead makes his film debut in Dunkirk, which is pretty major. If you’re trying to distinguish him from the many other young soldiers in the film, I’d focus on the mole near Whitehead’s chin (not to be confused for the film’s other notable “mole,” which is what the eight-foot-wide pier crammed with soldiers is called) and his somewhat distinctive teeth situation. The next character to come to the fore is Aneurin Barnard’s Gibson, who helps Tommy take the wounded man onto the boat and keeps a safe, mute amount of distance so as not to reveal his secret. 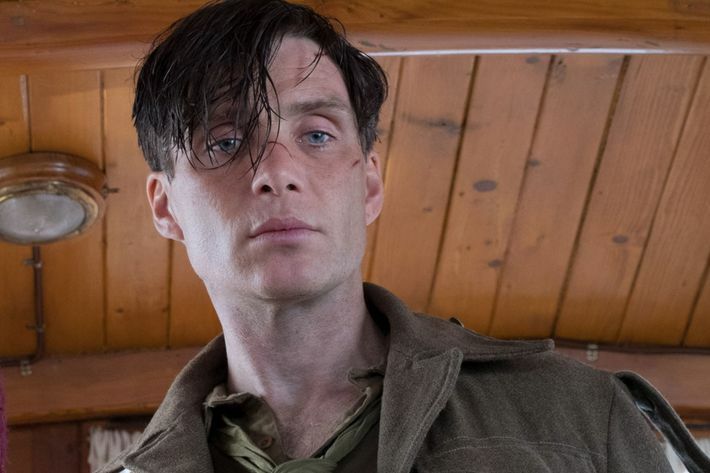 In a film that is not exactly filled with dialogue, Barnard’s character speaks the least, though he is the subject of one of Dunkirk’s most tense sequences, where the men hiding in a grounded boat accuse him of being a spy. If you’re trying to tell this 30-year-old Welsh actor apart from Whitehead, his features are somewhat softer and he basically doesn’t say anything. But here is a cute clip of him singing “Life on Mars” from the movie Hunky Dory! 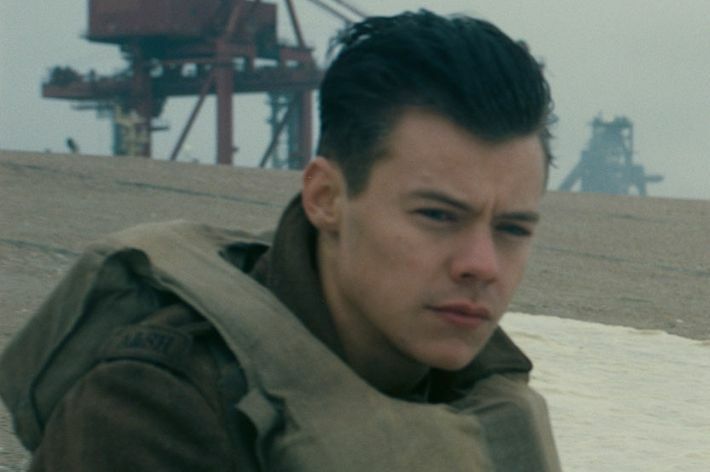 And hey, speaking of singing, One Direction heartthrob Harry Styles is also in this movie, though his distinctive hair is cut short and his copious tattoos are covered up. In a pinch, how are you supposed to tell which one Styles is when he’s been groomed to look like all the other boys in the film? Well, his Alex tends to be the angriest character, whether he’s cross about ejecting Gibson from the grounded boat or despairing over the reaction he’ll receive when he returns home. If anyone is shouting an actual line instead of just a garbled, trying-not-to-drown shout, it’s probably Styles. And since Barnard’s Gibson is practically mute, most of the scenes where Whitehead’s Tommy is talking to someone involve Styles. 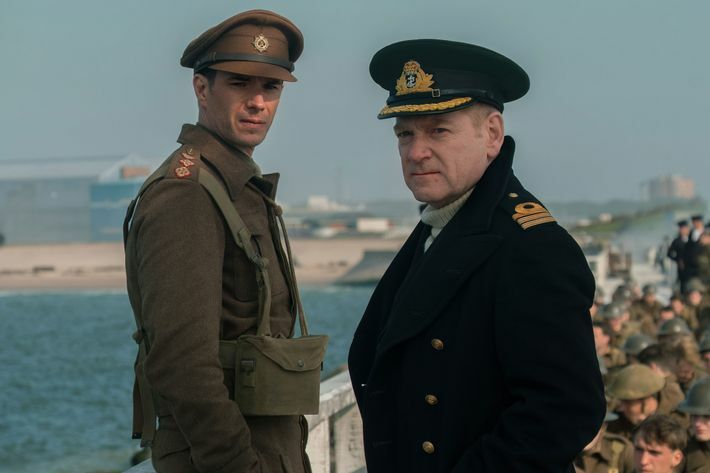 The other two notable faces from the Land portion are recognizable veterans: That’s Kenneth Branagh as Commander Bolton, summarizing the British strategy from the mole, and James D’Arcy as his scene partner Colonel Winnant. You’ll recognize the former from his Shakespearean adaptations and that giant mustache from the Murder on the Orient Express trailer, while the latter is best known for shows like Agent Carter and Broadchurch. Out at sea, we follow the crew of the Moonstone, a civilian ship sailing toward Dunkirk to rescue as many as men as possible. 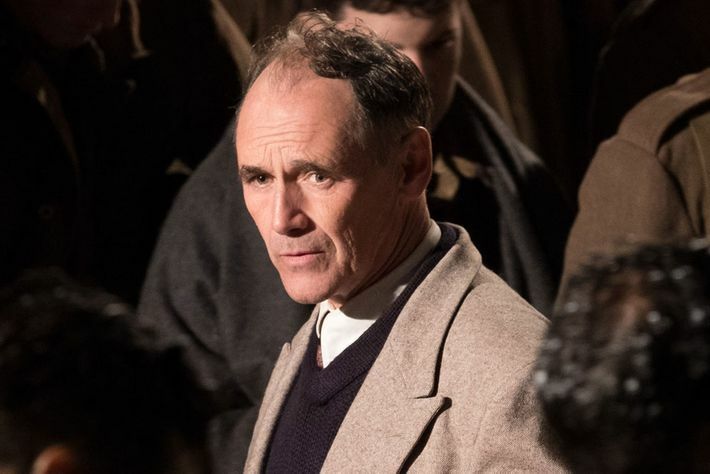 The captain of the little ship, Mr. Dawson, is played by Mark Rylance. Rylance won the Oscar for playing an apprehended Russian intelligence officer in Steven Spielberg’s Bridge of Spies, brought Spielberg’s motion-captured giant to life in The BFG, and has generally spent the duration of his big-screen career playing the sort of simple mumbler who likely has a weathered butterscotch stuffed in his pockets. Rylance is the oldest person on the boat. 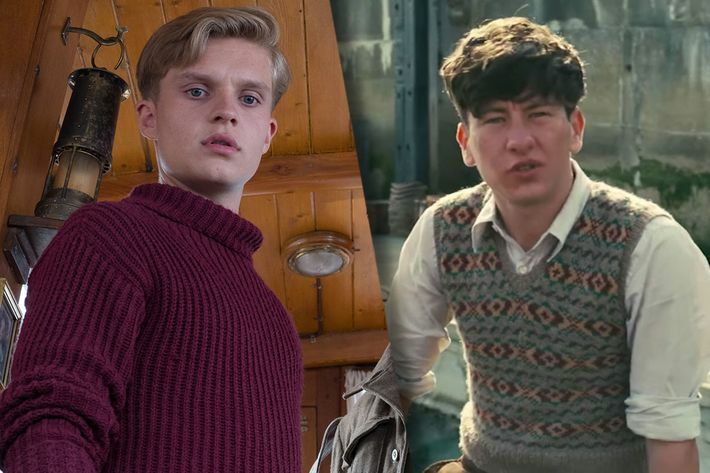 The two young men who man the Moonstone are Tom Glynn-Carney, cast as Dawson’s blond son, and Barry Keoghan, who plays the doomed George and looks kind of like a courtroom sketch of Tye Sheridan. Like Whitehead, Glynn-Carney is making his film debut in Dunkirk, and though his Instagram reveals him to be a secret redhead, he’s blond and preppy in Dunkirk and generally made to resemble a young Chris Nolan. Keoghan, an Irish actor, is about to terrify you all with his dead-eyed performance opposite Colin Farrell and Nicole Kidman in The Killing of a Sacred Deer, so feel sorry for him and his character George now, while you still have the charity to do so. 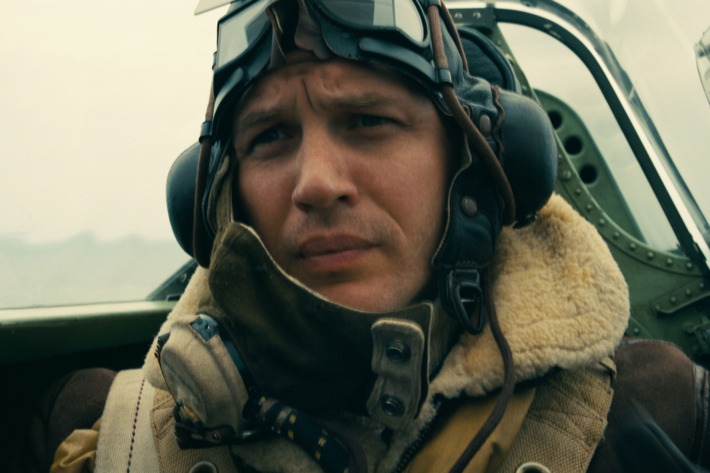 Let’s be real: In the air section, all you need to know is that there’s Tom Hardy and Not Tom Hardy. Actual Tom Hardy is a big star who also appeared in Mad Max: Fury Road, Inception, and The Dark Knight Rises, where he played the villainous Bane. As Bane, Hardy spoke into a mask and wore a comfy, down-lined jacket, and in Dunkirk, Nolan costumes him in a hilariously similar way. 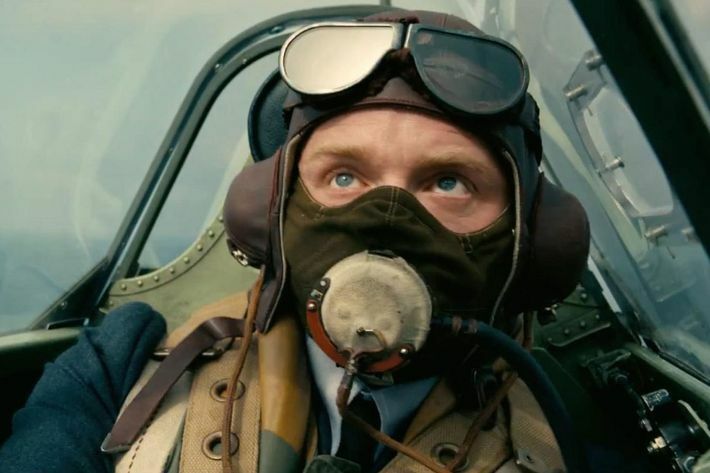 Though Nolan’s attempt to keep covering Hardy’s famous lips is borderline perverse, you can recognize Hardy’s fighter pilot just from his furrowed brow, if need be. Not Tom Hardy is played by a Scottish actor, Jack Lowden, who has received his most high-profile role yet in Dunkirk. One of the movie’s two blonds, he is shot down and rescued by the crew of the Moonstone. And now you know, and don’t have to risk incurring the wrath of that Nolan Bro, who would explain it was a lot easier to recognize the actors if you had just seen the movie in 70mm IMAX like you were supposed to.